Laryssa is so excited to be in residence at the MacDowell Colony this spring. She will be developing new work. Buy your tickets for She Is King at Other Forces! Tickets are now available for the NY Premiere of She Is King at Other Forces opening January 10th. She Is King Reaches Fundraising Goal!! Many thanks to the generous support of over 100 funders who raised over $8,000 to support the NY Premiere of She Is King in January 2014. We did it! 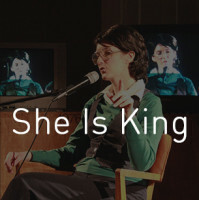 SHE IS KING will have it’s NY Premiere at Incubator Arts Project’s Other Forces festival in January 2014. She Is King- January 2014 – NY Premiere!! 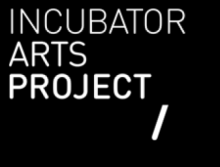 Thrilled to announce that Laryssa Husiak and The Incubator Arts Project will present She Is King at the Other Forces theater festival January 2014 for 3 weeks. Details soon! Residence at Yaddo in February 2014! Laryssa is honored to be in residence at Yaddo for two weeks this coming February to work develop of new project tentatively called ‘Neighborhood Watch’. For more information about Yaddo, please visit their website. Friday, September 20th – 40th Anniversary of ‘Battle of the Sexes’ Party! 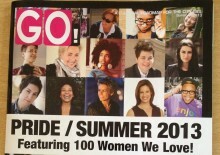 Featured in GO Magazine’s ‘100 Women We Love’.